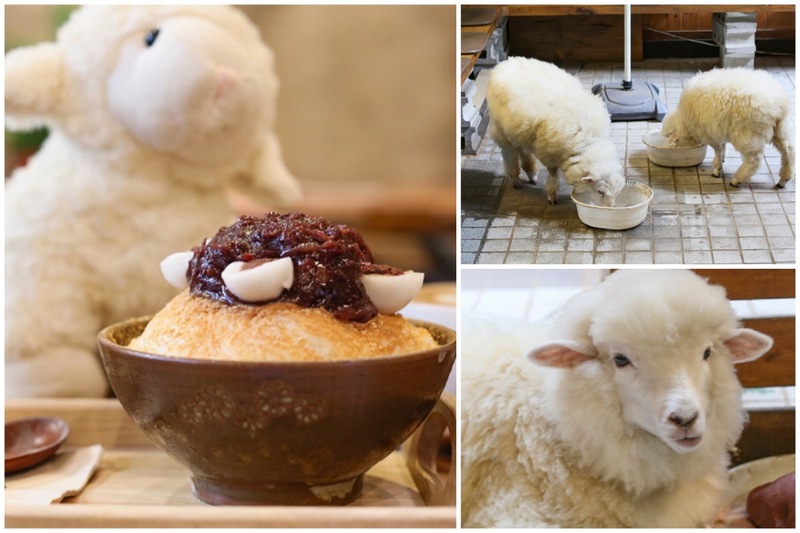 [Seoul] There are many cat and dog cafes around, but a SHEEP Café? Definitely something new and different. 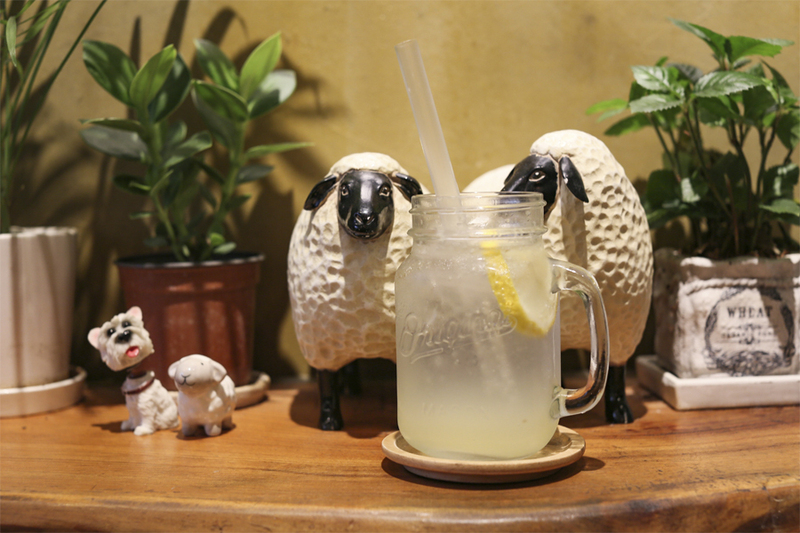 Located close to the Hongik University’s campus in the trendy neighborhood of Hongdae, Thanks Nature Café 땡스 네이쳐 카페 or also known as the Sheep Café is the only place in Seoul where you can eat banana-strawberry waffles in the company of two fluffy sheep. 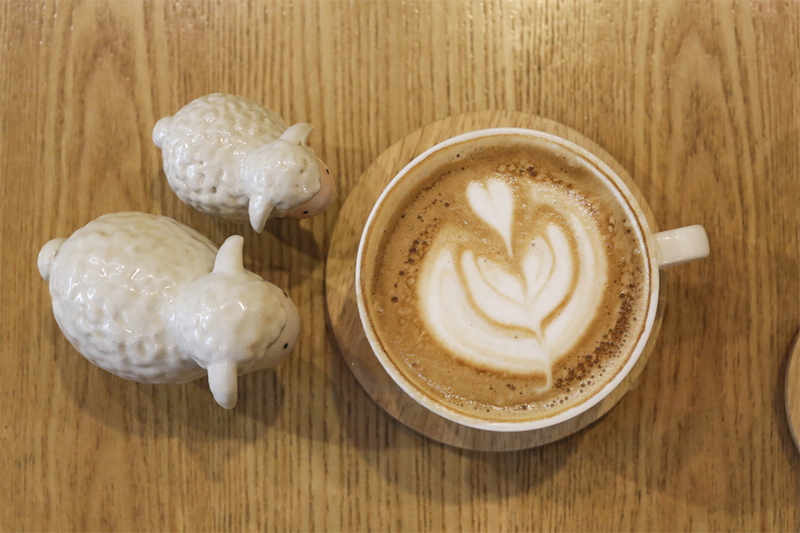 This quirky coffee and dessert joint was opened in 2011 by Kwang-Ho Lee, which became super popular right after the episode of Korean variety show We Got Married. 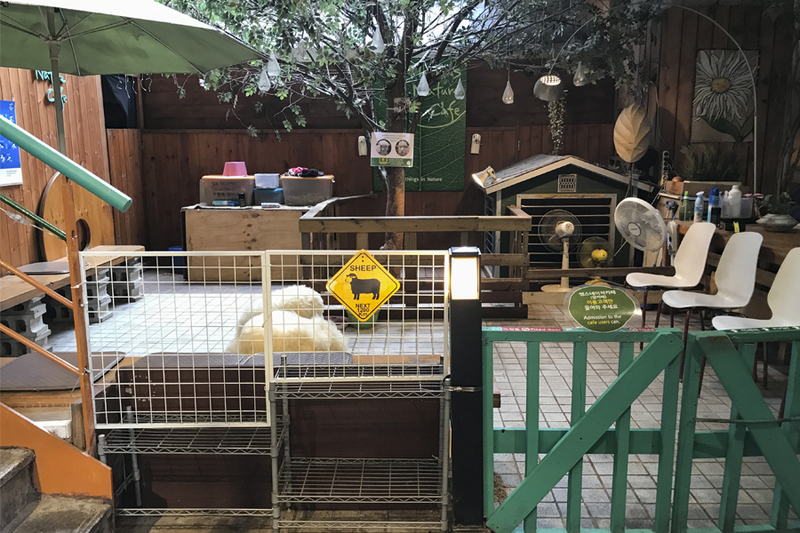 The two sheep named Honey and Sugar were super adorable, and unexpectedly loved to interact with guests. 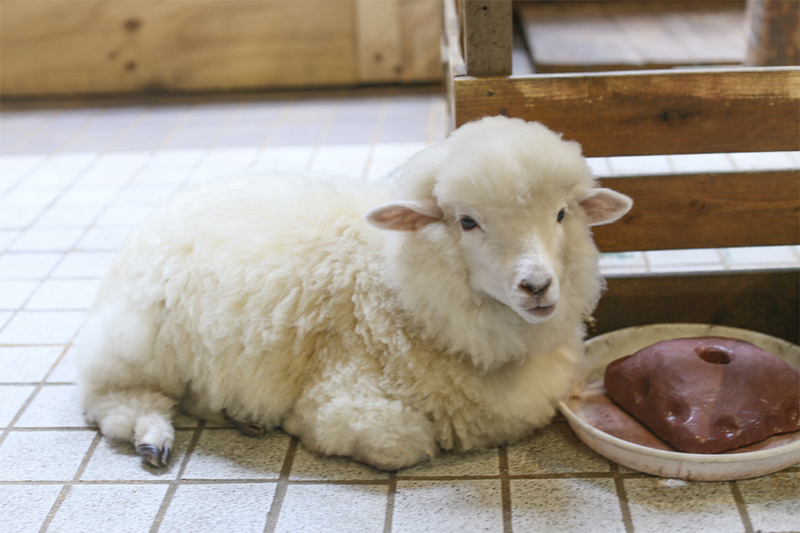 You can feed them some straw, or give them a light pet. Treat them with love and they would probably return you that affection. 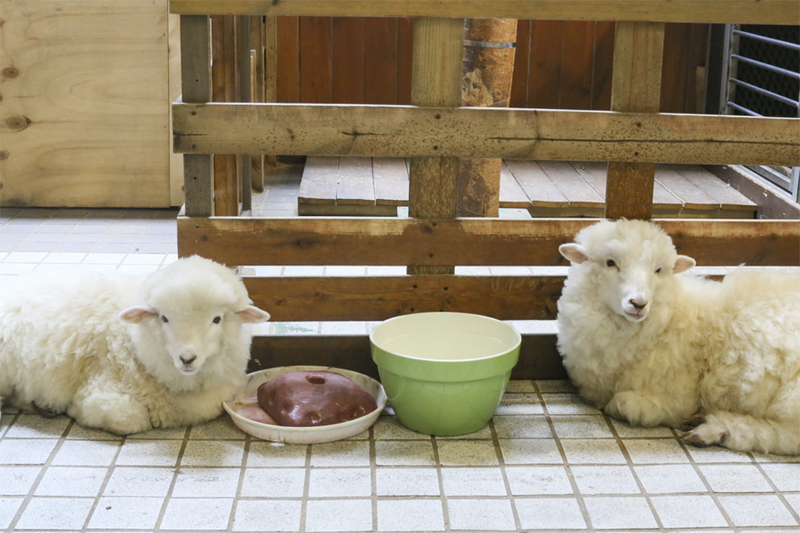 They were kept in a sheep pen that is separated from the Thanks Nature Café, so you do not have to worry about sharing your fruit soda with them. However, there was the ‘smell of nature’ which I did not quite mind. I found them docile, though one was obviously friendlier than the other. 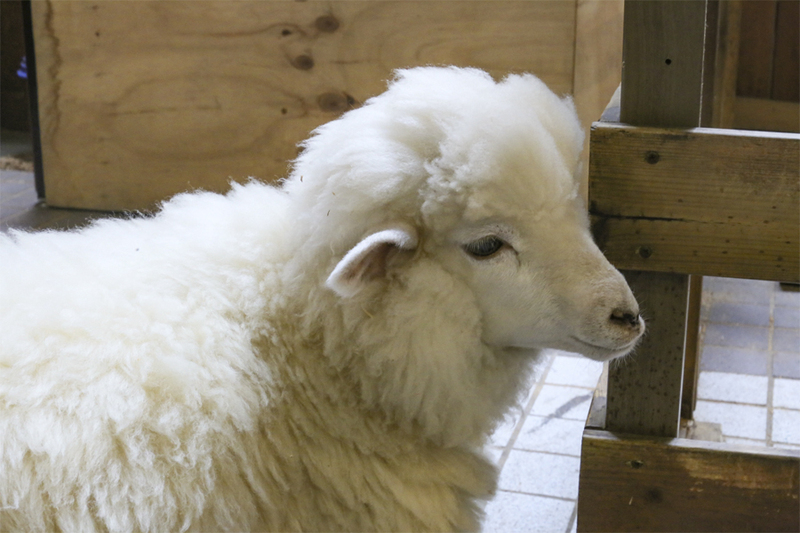 Other than in the zoo, this was the other time I got in so close contact with sheep. 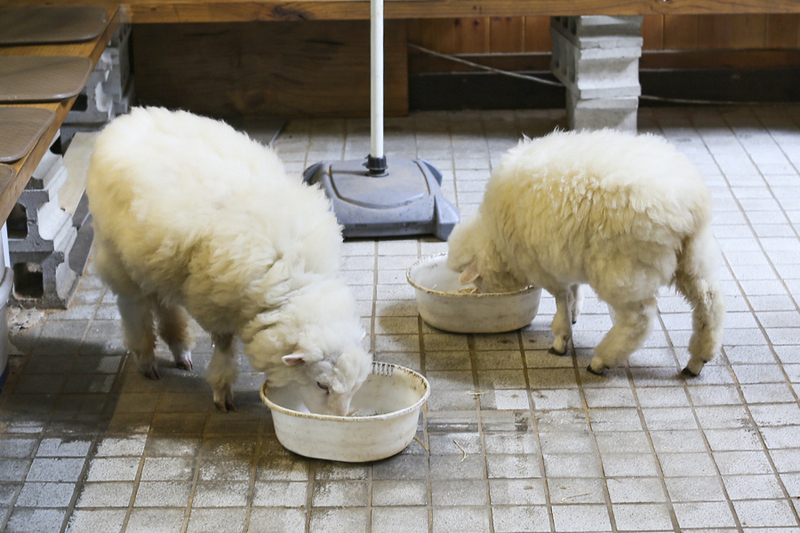 Keep in mind that during the summer season, the sheep would be sent back to the farm due to the extremely humid weather conditions. 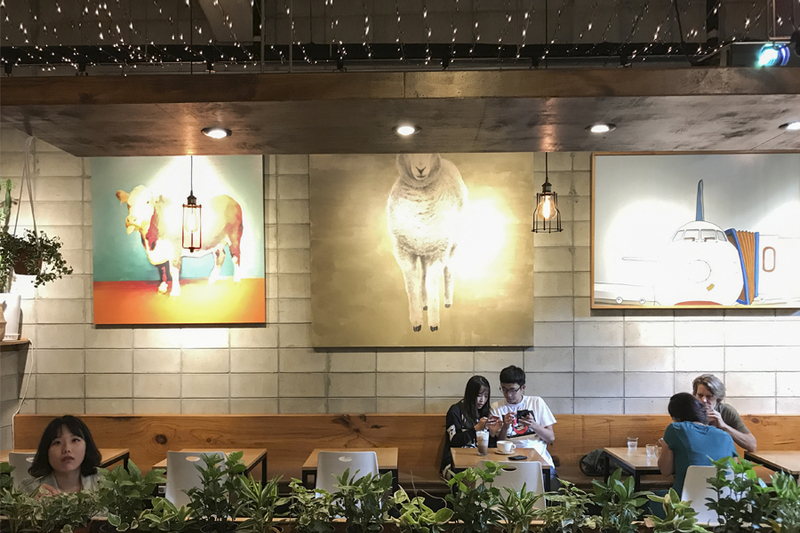 For food and drinks, the indoor part of the café was decorated with sheep, airplane, and cow paintings, peppered with several sheep toys. There is also free Wi-Fi with charging points available. 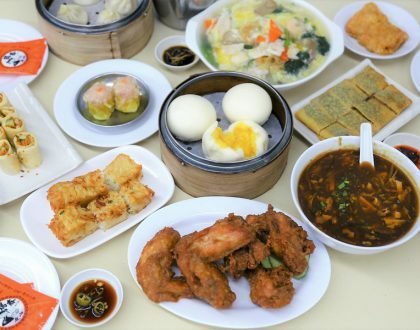 In terms of food, the menu offers a range of refreshing drinks, coffee and light snacks. 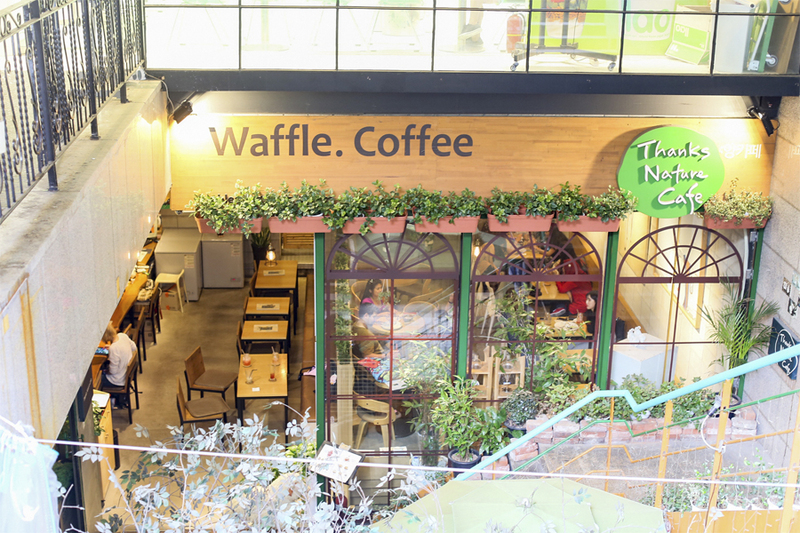 You can choose from a variety of Waffles from Banana, Blueberry, Espresso, Green Tea to Strawberry (6,000 Won to 12,000), order a Toast of Honey Bread or Garlic Cheese (6,000 Won, 8,000 Won), or try some of their Fresh Fruit Ade (5,000 Won to 7,500 Won). 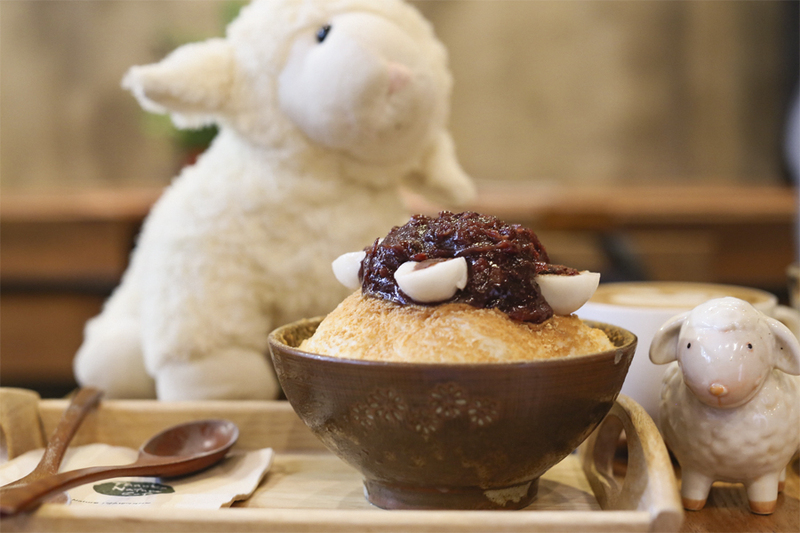 I also ordered a Traditional Ice Flake Bingsu (8,000 Won) with Red Bean or Injeolmi. 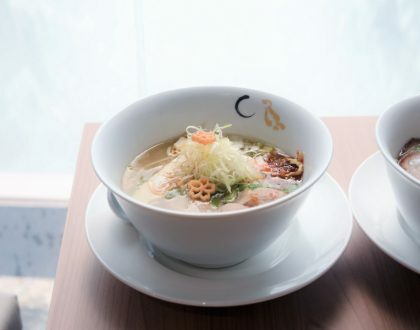 Initially, I was half-thinking that the desserts at such themed-cafes would be mediocre or at most average. Surprisingly, the Bingsu was refreshingly taste, with fluffy smooth shavings topped with generous portion of sweet red bean. For other flavours of Ice Flake, there would be additional scoop of Haagen Dazs ice cream. 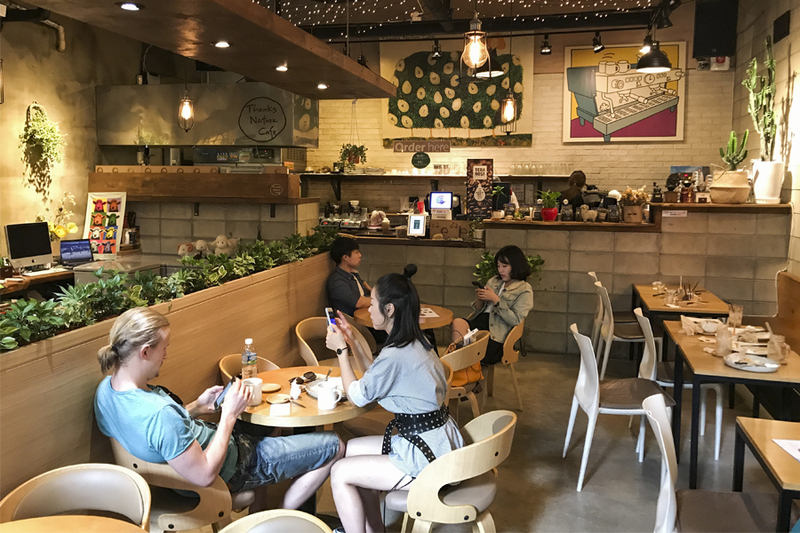 The easiest way to here is to take a train to Hongik University Subway Station (Line 2) and come out from the train at exit 9. Take a left turn and go to the main gate of the Hongik University. 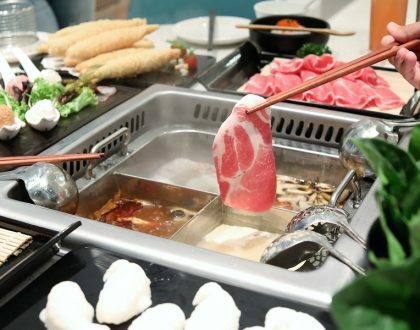 Once you get here, look out for the signage of the café (or llao llao) at the end of the arcade of shops.